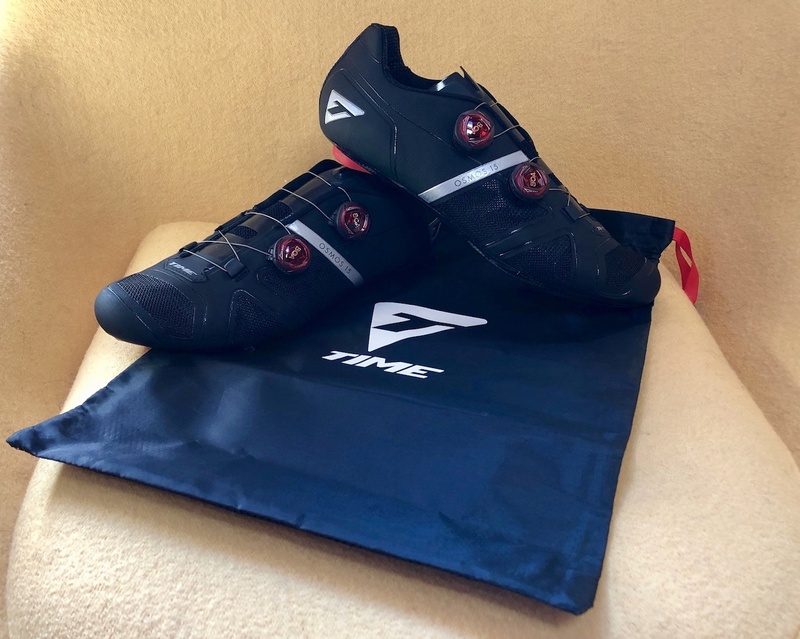 It’s been nigh on to a decade since TIME last occupied a spot in the cycling shoe segment. 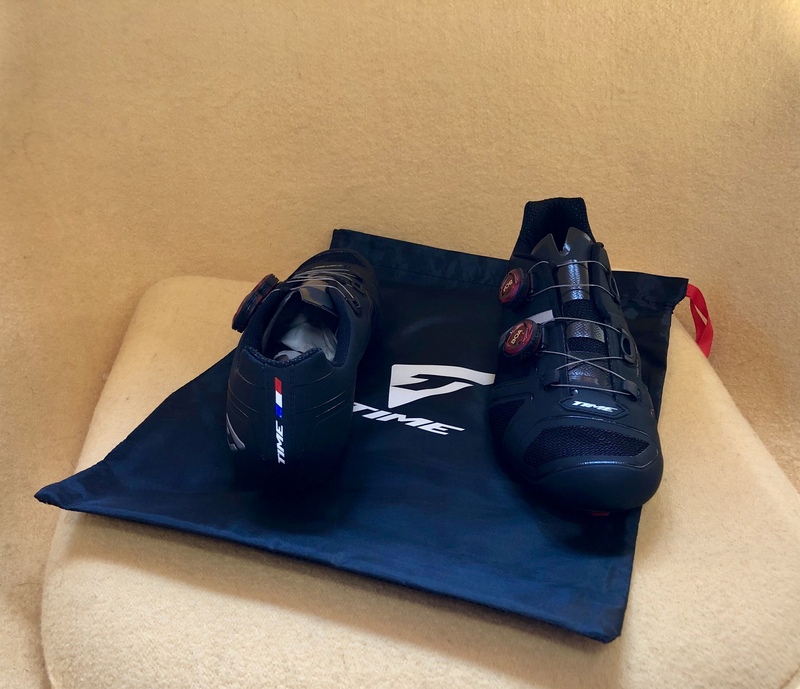 But, the iconic French brand has unveiled a new range of road kicks called OSMOS, which comprises no fewer than five premium models. TIME was purchased by Rossignol not long after the untimely death of its founder and president, Roland Cattan, back in 2016. With access to over 3,000 3D-scanned feet at Rossignol’s R&D facility in Montebelluna, Italy, TIME was privy to a huge data pool to engineer its new OSMOS range from, drawing critical information to use during both static and dynamic testing phases in order to determine the correct curvature of the sole and heel structure as to eliminate pressure points. According to TIME, the production process took over two years to develop the OSMOS range, involving everything from biomechanical foot studies, product conception and iterative prototyping, to final production and follow-up testing and product deployment. 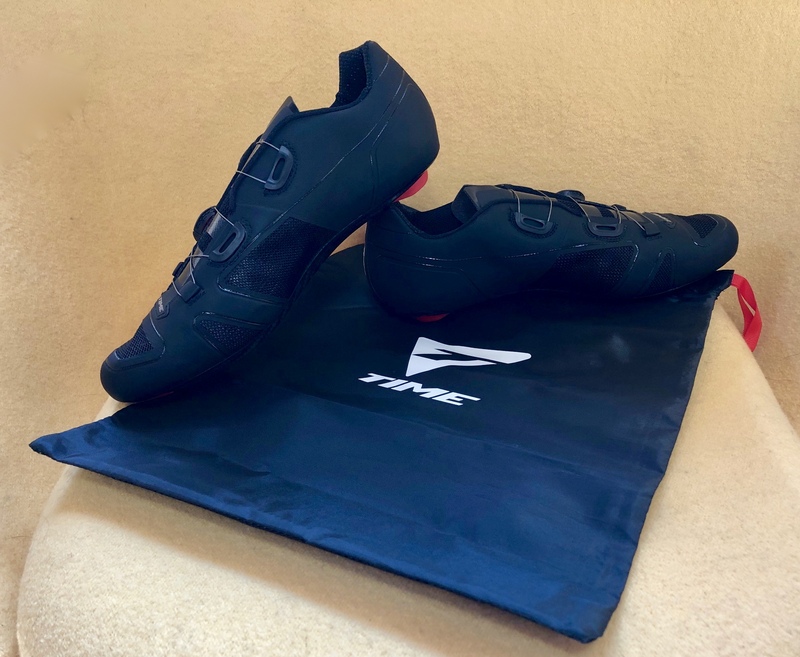 When it came time to choosing materials, TIME says it thoroughly scrutinized the competition, enlisting its research team at Montebelluna to create an upper that surpassed all others in terms of comfort, ventilation and performance. The result is a seamless upper for all five OSMOS models, along with a “hot-welded spider-web” reinforced inside. In the case of the range-topping OSMOS 15, it’s been treated to a full-carbon sole construction for optimal stiffness, along with dual BOA lacing system. 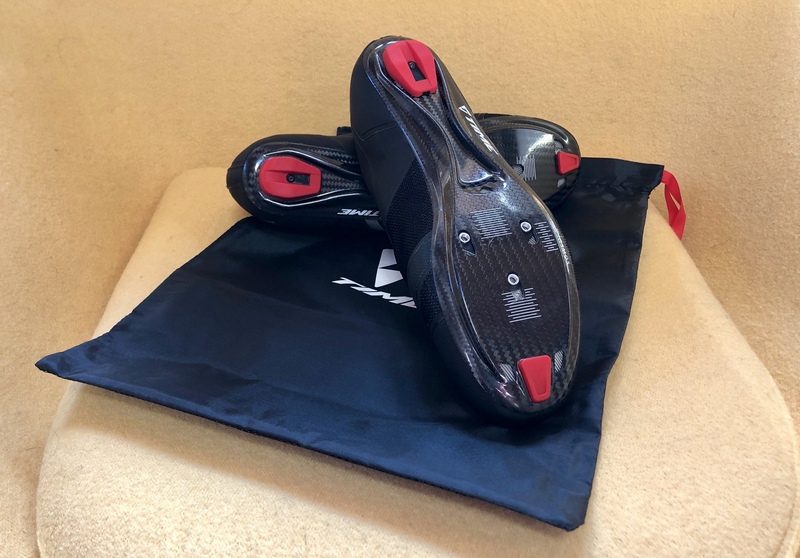 Additionally, the OSMOS 15 get’s TIME’s more sophisticated Sensor 2+ insoles that incorporate higher-density EVA foam along the metatarsal zone to further optimize power transfer. 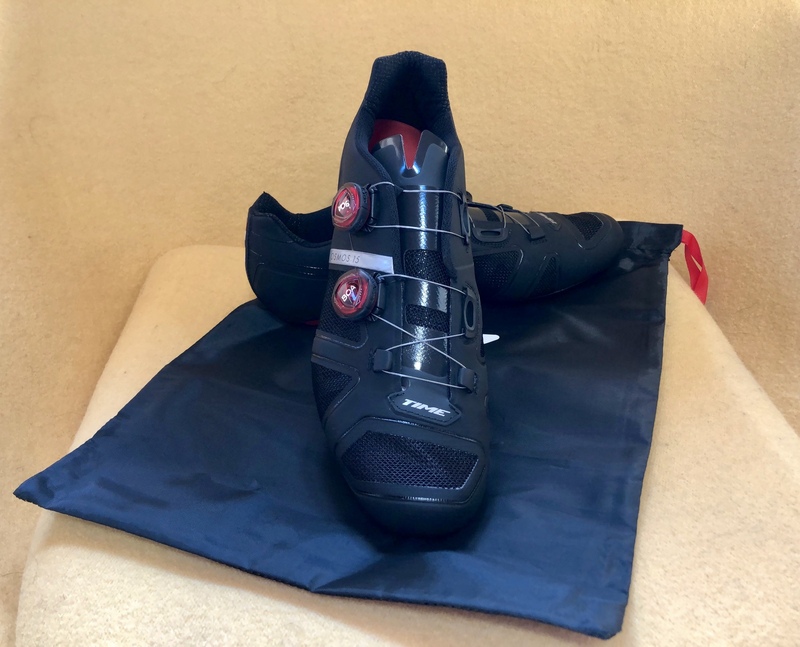 The OSMOS 15 weighs in at a claimed 480g for a size 42, which TIME admits is not the lightest shoe on the market because inter opinion that would sacrifice comfort. Color options for the $400 OSMOS 15 have been kept to a minimum, with only classic black and white available. However, the shoe is offered in a plethora of sizes ranging from 39-46 with half sizes between 40.5 and 44.5. We’ll be posting a thorough review of the OSMOS 15 in the coming weeks.